How does the song go? “Pave paradise and put up a parking lot?” Well, not at Penn. We took 24 acres of concrete and asphalt and transformed it into a vast urban park. New sporting fields and walking paths combine to create a lush oasis on the eastern boarder of campus, an oasis this Penn employee cannot wait to visit – regularly. I had the opportunity to take a tour of the still-under-construction park today and was thrilled with what I saw and learned. In addition to the vast amounts of new green grass and over 500 expertly-selected trees (thanks to our friends at the Morris Arboretum), the park has been constructed with sustainability and green land use in mind. Subterranean rain water collection cisterns will feed irrigation for the freshly planted trees and grasses, while accessible paths and access bridges allow easy admission to all members of the Penn community. 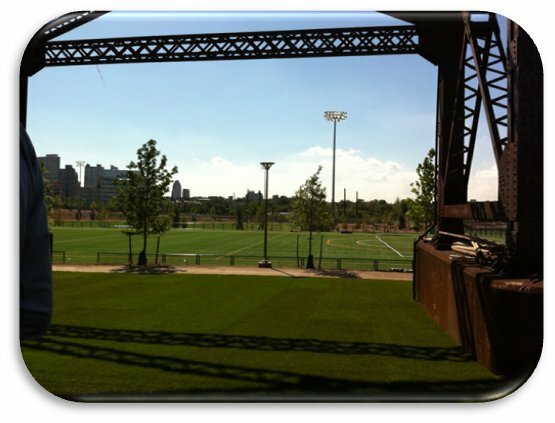 When I last wrote about Penn Park in April, the ground was still cold and the progress seemed sluggish. However, following my tour today I am very excited about the massive park that is literally coming out of the ground just a few strides from my office. 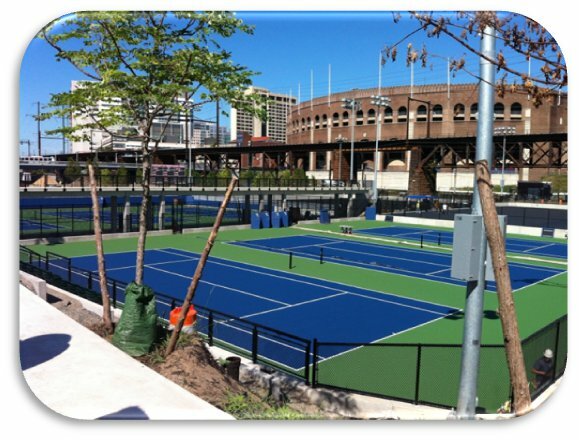 I invite you to come back to campus when Penn Park is complete in September, and take part in this beautiful redevelopment project that was built, in large part, because of generous alumni support. You can play tennis, bike around the park, or simply sit and daydream in the grass while enjoying a view of the beautiful Center City skyline. I promise you that Penn Park not disappoint. Is it really almost August? It seems like only a few weeks ago I arrived in DC and began interning at the White House Council for Community Solutions. I’ve discovered that the old adage is really true. Time does fly when you’re having fun…And this seems especially so these past few months. This summer has been perfect. I met new people, made amazing connections, ate breakfast with my Senator, and even went bowling at the White House (I scored a 93 – harder than it looks!). Better than all of that, I had a fantastic internship. Having a great boss makes all the difference, especially when she is intently focused on mentoring and exemplifies strong leadership. The team I work on was small and everyone (including the interns) has been given opportunities to contribute substantively. My team has been a fun group, and we managed to both work hard and find time to laugh. 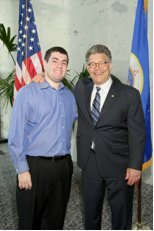 Did I Mention that I Met Al Franken This Summer? Despite his lifelong career as a comedian, I discovered that Al Franken takes his job very seriously. Still, when it came time for photos, he cracked a few jokes about symmetry (you will notice we are perfectly in the middle). 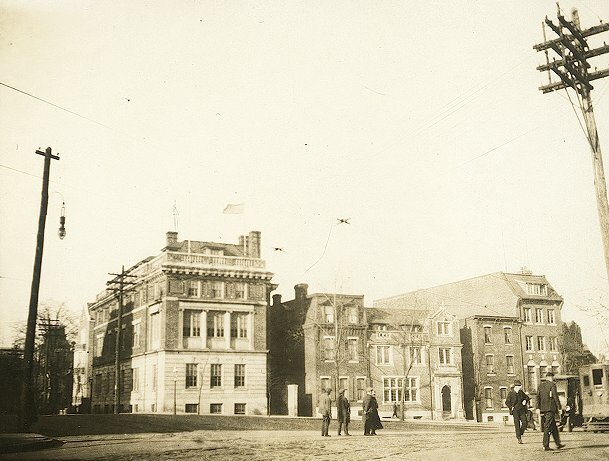 It’s easy to take for granted the amount of history that surrounds you at a place like Penn – especially when you spend so much of your time on campus that it begins to feel like your second home. For example, my office building – the Sweeten Alumni House – originally housed the Delta Tau Delta Fraternity. It was in the mid 1960’s after a fire – allegedly set off at a holiday party when a fraternity brother fell asleep with his cigarette too close to a crepe paper snowman – took the life of at least one young party-goer that the building eventually fell into the hands of the alumni association. And yes, there are plenty of rumors about the ghost of said party-goer haunting the 2nd floor ladies room. However, on a daily basis, one gets caught up in emails and phone calls and meetings and quickly forgets all of this. Ironically, it was a recent trip off-campus that reminded me about Penn’s historical context. Last week, as a previous blogger mentioned, the entire Alumni Relations staff headed down to 310 S. Quincy Street for a day long staff retreat at the Mask and Wig Clubhouse. 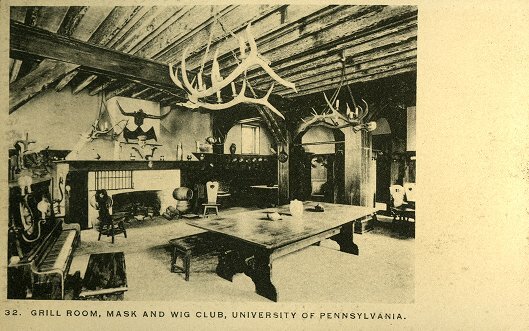 Most Penn alumni and friends are very familiar with the all male comedic theater troupe, the University’s oldest student group founded in 1888. Prominent Philadelphia architect Wilson Eyre was commissioned to convert the building, which had previously served as a church, a dissecting room, and a stable. He hired the young Maxfield Parrish, who would later become one of the greatest illustrators of the twentieth century, to decorate the interior. Indeed, it is hard not to appreciate this history when you walk into the Mask and Wig Clubhouse. The Grille Room – a wood-paneled bar/lounge on the first floor – is decorated with caricatures of members; a tradition that continues today, with the second century of members’ caricatures continued upstairs at the entrance to the theater. Next to each member’s caricature is a peg for their personal mug, which they alone can take down and use when present. Despite recent renovations to provide facilities for handicap accessibility, including an elevator, as well as air conditioning, the Clubhouse retains its authentic, historic atmosphere. Next time you come to campus, I encourage you to take a moment to stop and take a moment to take in the history that surrounds you. Maybe even read one of the plaques on those statues you’ve whisked past dozens of times before on your way to class or a reunion party. Regardless if you’re an alumnus, a staff person, or a student here, Penn people love competition! We will play anything with anyone for the glory of victory. We descend from a long lineage of competitive spirits; individuals who strive to succeed regardless of the obstacles. For example, check out the weather conditions for this football game in 1898. 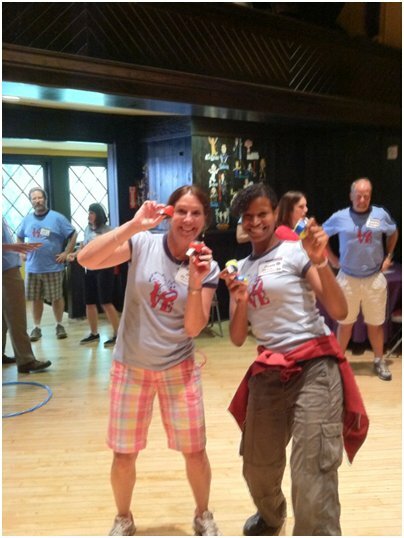 The Alumni Relations Staff is no exception – we especially love competition. At our recent staff retreat held at the Mask & Whig Club in Center City Philadelphia, we played our own variations of games based on The Newly Wed Game, The Gong Show, and Family Feud. Me and Nicole after we demonstrated our mad juggling skills. We are for hire! 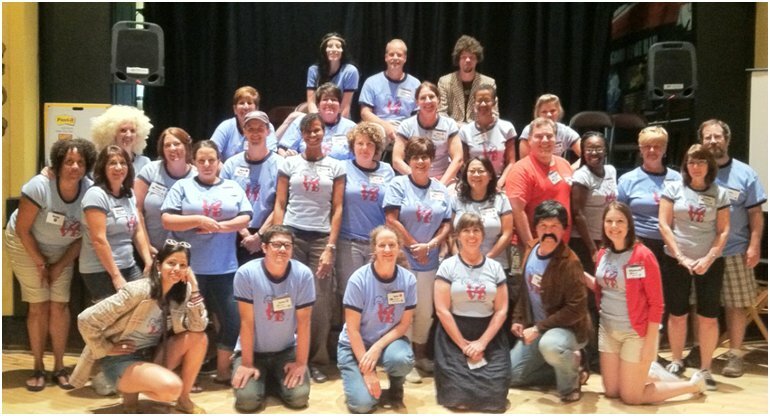 The Alumni Relations staff in our team t-shirts. I will personally send a prize to the very first person who can correctly tell me the final score (and who won!) 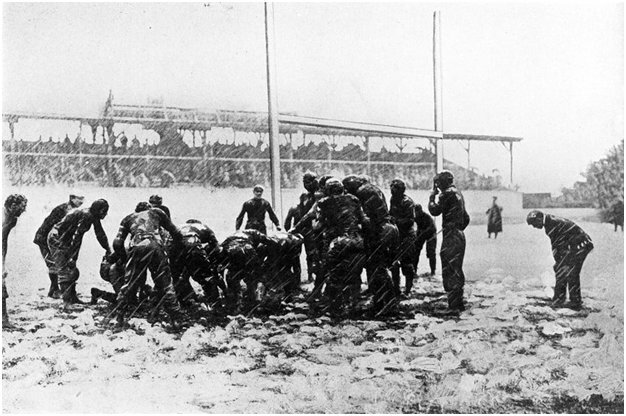 of the football game photographed on that snowy day in 1898. Just email me with your answer, and show your Penn pride and knowledge. Hurry, you’ve got lots of competition! Like most of you, I love my time at Penn. Yes, “love,” not “loved.” While I graduated in 2005, Penn is still a part of my every day experience. I hope to share a bit from an enamored alumna’s perspective from the beginning. Fast forward to today, and I find myself going into my second year as the President of the Penn Alumni Club of Philadelphia. And I love it. Sure, like everyone else, my professional life is demanding and there are not enough hours in the day to get everything done. However, the rewards for being involved are seemingly endless. I have been to private art exhibits, had dinners with professors, attended baseball games, met some of the most interesting people at events ranging from galas to cocktail parties, had behind the scenes access to restaurants like Lacroix, and celebrated Ben Franklin’s birthday in style. I’ve planned First September events in three cities and am truly looking forward to our Philadelphia 2011 party at Yards. I can’t believe it’s been six years since I graduated and started my lifelong role as an alumna. It’s easy to get involved – wherever you are. Check out the regional clubs here or feel free to email me (especially if you are in the Philadelphia area). 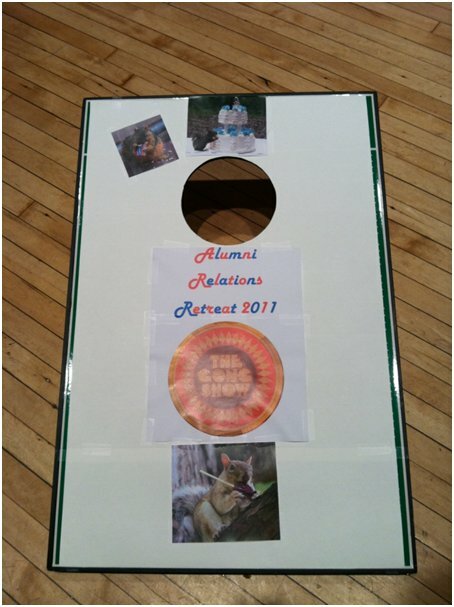 Don’t wait to begin your alumni experience! Working in academia, I have so many opportunities for education, whether it’s taking a class, listening on a guest lecture, or visiting one of the many museums on campus. The one thing I can’t do is revamp my undergraduate career. Recently, while checking out the 2011-2012 course register for potential graduate level classes, I found myself wishing that some of the currently-offered undergraduate classes were available when I was a student. Here are the 10 elective courses I would have liked to have taken if I could get a “do over” (some descriptions have been edited for length). 10. LING051 (Linguistics) Proto-Indo-European Language. Noyer. Most of the languages now spoken in Europe, along with some languages of Iran, India, and central Asia, are thought to be descended from a single language known as Proto-Indo-European, spoken at least six thousand years ago. Speakers of Proto-Indo-European eventually populated Europe in the Bronze Age, and their societies formed the basis of the classical civilizations of Greece and Rome, as well as of the Celtic, Germanic and Slavic speaking peoples. Students will learn the basis of reconstructing a language and explore the culture and society of the Proto-Indo-Europeans and their immediate descendants. In addition, we will examine the pseudo-scientific basis of the myth of Aryan supremacy, and study the contributions of archaeological findings in determining the “homeland” of the Indo-Europeans. 9. 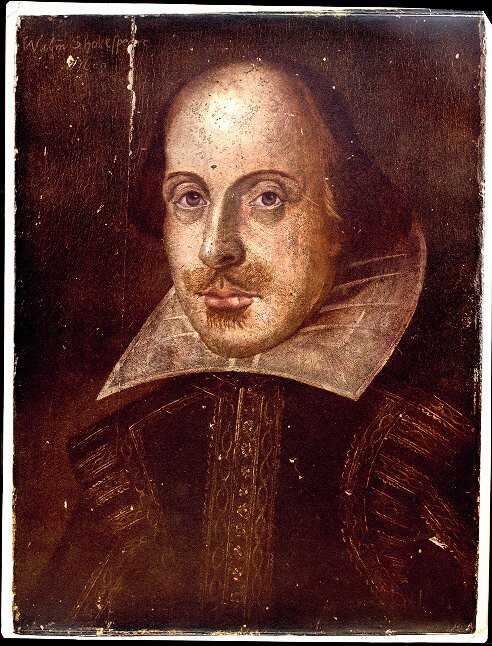 ENG 019 (English) History of the English Language. This course traces the history of the English language through English literary history, from Anglo-Saxon England to 21st-century America. We will consider the relationship between different language systems (e.g., syntax, morphology, orthography, grammar) and the relation of those systems to the literature of different historical periods. We will also consider the social and political events influencing language change, such as the introduction of Christianity, the Norman Conquest, the printing press, colonialism, educational policies, and mass media. 8. HIST 050 (History) England and the British Isles to 1707. Todd. The subject of this course is the history of the British Isles from the Roman Conquest in 43AD to the creation of the United Kingdom in 1707. Between these two dates the various societies and cultures in the British Isles were brought into the orbit of the Roman Empire, converted to Latin Christianity, and developed distinctive cultures and strong ties with the Continent. From the twelfth century on, the kingdom of England began to exert its power over Wales, Ireland, and Scotland. The Anglo-Norman continental empire of the Plantagenet dynasty also played a large part in shaping the English monarchy, as did the playing out of the Hundred Years War, the internal divisions in fifteenth-century English society, and the rise of the Tudor-Stuart dynasty. 7. PHIL018 (Philosophy) The Idea of Nationalism. Steinberg. Nationalism is one of, if not, the major geo-political forces of the past two hundred years. Its continuing power has been amply demonstrated by recent events in Eastern Europe and the Soviet Union. This course will focus on the conceptual and theoretical issues raised by competing notions of nationalism, rather than on its history or expression in particular cultures. 6. URBS012 (Urban Studies) The History and Politics of Space. Schneider. 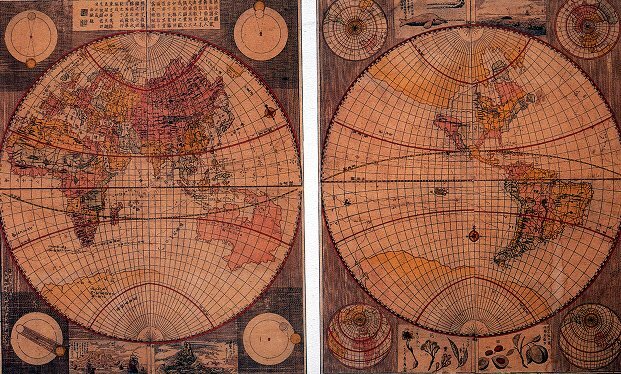 How do we understand the places in which we live? What is the relationship between workplace and home, downtown and suburb, inner city and gated communities, department store and mall, row house and ranch house? How are our lives defined by place? The city is a social and a spatial system, and its organization both reflects and reproduces social categories of race, class, and gender. The current city is also the product of past decisions about where to locate communities and how to allocate resources. Through reading sociological, historical, theoretical, and primary texts, through studying maps and photographs, and through your ethnographic explorations, we will explore the presence of the past in the city around us, the evolution of different kinds of urban and suburban places, and the encoding of wealth and power as well as inequality and poverty in the urban landscape. 5. IPD509 (Integrated Product Design) Needfinding. Needfinding is an approach that puts people and their needs at the center of product development and business strategy creation. Over 90% of new products introduced into the marketplace fail. A good portion of these failures are due to lack of understanding of end consumers and their needs. Designers and engineers need tools and techniques to get beyond what people can explicitly state and determine their implicit needs. In this class students will gain a tool set from which to develop their own approaches to conducting researching for design: learning how to think about other people, about culture, and about new perspectives. They will also learn tactical skills: how to define research questions, how to conduct observations and interviews, how to interpret results, how to synthesize them into fodder for design, and how to communicate their findings in a way that is compelling and actionable for designers, marketers, and business strategists. 4. GSWS240 (Gender, Sexuality & Women’s Studies; Cross listed HIST240) Gender and Athletics. Miller. Have women started to “play hardball” on a “level playing field” in the American sporting culture? From the commercial successes of the WNBA and World Cup Soccer to new studies that document the positive effects of athletics on girls’ self-esteem, women finally seem to be turning the American obsession with sports to their own advantage. This course will examine how physical fitness and organized athletics for men and women have both reflected and helped to create norms of masculinity and femininity over the past one hundred and fifty years. 3. PSCI135. (Political Science; Cross Listed GAFL135 – Government Administration and HSOC -135 – Health and Societies) The Politics of Food. Summers. This academically based community service seminar will explore the politics and institutions that have shaped – and continue to shape – food production and consumption. Students will use the readings, their community service, and ongoing “food events” at Penn to analyze the politics of food in many arenas: from farms, kitchens, supermarkets, schools, and communities of faith to corporations, research institutions, the media and international trade. 2. MUSC014. (Music) Songwriting in the 20th Century. (M) Weesner. This course will alternate between an analytical approach and a critical approach to the study of a wide range of songs composed throughout the 20th century. We will study musical techniques such as melody, harmony, form, rhythm, instrumentation, style, and text-setting. We will also pose far-ranging questions, such as, what makes a song a song? What makes a song a good song? What is the difference between an art song and a pop song? This course will occasionally focus on specific composers, such as Cole Porter, Charles Ives, John Harbison, and Liz Phair, and will also consider the musical ramifications of collaboration, covers and re-makes. 1. ANTH 230 (Anthropology; Cross listed ANTH633) Forensic Anthropology. Monge. 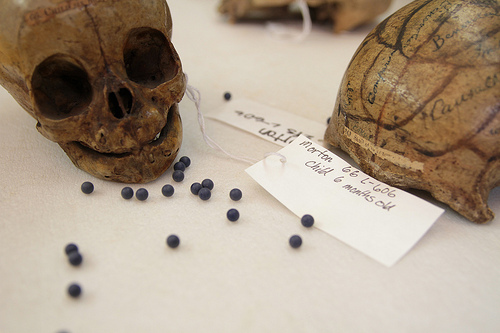 This course will investigate and discuss the various techniques of analysis that biological anthropologists can apply to forensic cases. Topics include human osteology, the recovery of bodies, the analysis of life history, the reconstruction of causes of death, and various case studies where anthropologists have contributed significantly to solving forensic cases. Discussions will include the limitations of forensic anthropology and the application of DNA recovery to skeletal/mummified materials. I encourage you to wax nostalgic and peruse the course register, maybe your favorite class is still being taught by your favorite professor or you might find a course that inspires you to go out and learn more. I feel forever indebted to Penn for many reasons but perhaps the most important was mastering Spanish after studying abroad in Seville, Spain during my junior year. These language skills enabled my husband and I to go to Colombia, South America to adopt our daughter, Carly. Everyone in Colombia was impressed with my Spanish banter and my desire to raise a bilingual daughter. Both Carly and I are now fluent Spanish speakers. 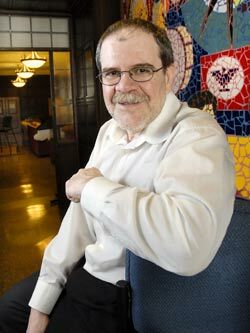 I love the Spanish language, culture and people and wanted to do something to help promote these causes at Penn while also assisting deserving students. Thus, a gift to La Casa Latina seemed very worthwhile. 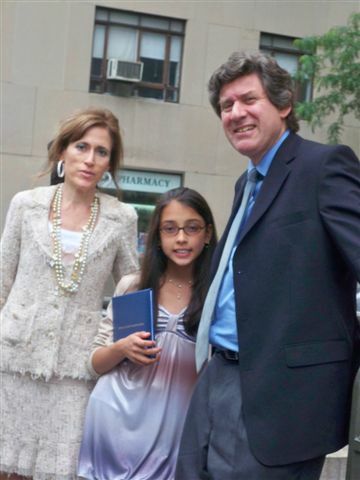 Now that my daughter is 14 years old, I look forward with excitement to the possibility of her attending Penn and spending time with the wonderful students at La Casa Latina. This is truly a historic donation and it cannot stop there! I hope Ruth’s generosity will inspire even more people to give towards such a remarkable place like La Casa.